I’ve only ever seen two English-language tea authors use zhōng, to refer to this same vessel. However, an image search for 盅 will return an interesting variety of objects. A definition for 盅 is “a handleless cup or goblet,” which is not really helpful. Image searches and the character’s makeup would suggest that this could be any vessel with a compact, rounded/concentric design, along the lines of “crock” or “urn.” But in this article, a 盅 instead pours tea to cups after the brewing vessel has been decanted into it. Western tea drinkers seem more familiar with the name 茶海 [cháhǎi], along with the more explicit 公道杯 [gōngdao bēi], “fair(ness) cup” for this function. Tracking these usages would be an interesting study, which we’ll have to leave to more fluent speakers. But I like to think that this article/book was written at a heady time in Chinese tea, when Taiwanese innovations and interest in tea art were being reintroduced to mainland China, and China got busy rediscovering and reinventing its tea culture. For more on this, you must read this article. This is a visual pun in Chinese. Another fun discovery for me was the Chinese word for “tea presentation vessel”: 荷 can be pronounced hé, which means “lotus” or “water lily,” but 荷 can also be pronounced hè, which means “to carry something on your back,”and by extension, a “burden” or “responsibility.” I’ve heard people calling a 茶荷 a “tea lotus,” which is very poetic and all, but I don’t think anyone would have started calling it that unless it was first meant as a “tea tote” or “tea caddy.” (I imagine the two meanings of 荷 are not as stark in Chinese as they are in English–it might be as if our name for the plant was the “caddy plant” or the “tray lily.”) Native Chinese tea drinkers–how do you pronounce 茶荷? Again, the original Chinese is on the left; my translation is on the right. 冲泡茶叶, 除了好茶､好水外, 还要有好的器具。 Brewing tea, in addition to good tea and good water, still requires good utensils. 在陆羽《茶经》里列举了煮茶和饮茶的29种器皿。 Lu Yu’s “Tea Classic” contained a list of 29 kinds of tea-decocting and tea-drinking utensils. 这是由于当时的茶类、饮茶习惯和物质条件与现在迥然不同，所以器皿十分复杂。 This is because tea varieties, tea-drinking customs and material circumstances of that time were completely different than they are nowadays, so utensils were extremely complicated. 有了煤气炉，也就没有必要去选择生火用具。 having gas stoves, it is unnecessary to select a fire-lighting utensil. 如今茶具，通常是指茶壶、茶杯、茶碗、茶盘、茶盅、茶托等饮茶用具。 Nowadays “tea wares” normally signifies teapot, tea cup, tea bowl, tea zhōng, tea saucers and other tea-drinking utensils. 我国茶具，种类繁多。 Our country’s tea ware types are many and varied. 各种茶具的结构、特点及其艺术价值，包含极丰富的内容。 The structure, features, and artistic value of all these tea wares is a rich topic. 本书有关章节也作了系统阐述。 The relevant sections of this book were also written as a systematic description. 这里仅就日常生活中常用的茶具和品质审评用的茶具作些简要介绍。 Here is written merely some brief introduction to tea ware commonly used in everyday life and fine tea-evaluating wares. 日常生活中用什么茶具呢？这要根据茶叶的种类、人数的多少以及各地饮茶习惯而定。 What tea wares are used in everyday life? This will depend somewhat on the type of tea and number of people as well as regional tea drinking customs. 一般常用较大的瓷壶泡茶，然后斟入瓷杯饮用。 generally brewed in a comparatively large porcelain pot, and then poured into porcelain cups for drinking. 壶的大小视人数多少而定。 The size of the pot depends on the number of people. 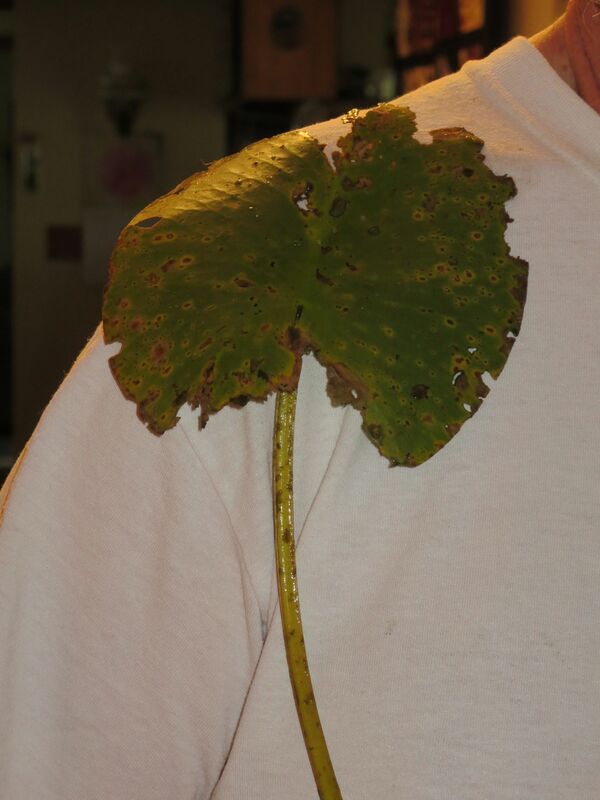 江南一带，普遍爱好炒青或烘青绿茶，多用有盖瓷杯泡茶。 In southern China, they love pan-fried or baked green teas, many using a covered porcelain cup to brew tea. 福建、台湾和广东等省和东南亚华侨，对乌龙茶特别喜爱，宜用紫砂茶具。 Fújiàn, Táiwān, Guǎngdōng and other provinces along with ethnic Chinese in southeast Asia are especially fond of oolong tea, which should use purple clay tea wares. 工夫红茶和红碎茶，一般也用瓷壶或紫砂壶冲泡，然后倒入杯中饮用。 Artisan black tea and broken black tea also generally use a porcelain pot or purple clay pot for brewing, and are then poured into a zhōng for drinking. 则以选用无色透明的玻璃杯最为理想。 then a clear tumbler is ideal. 品饮绿茶类名茶或其他细嫩绿茶，不论用何种茶杯，均宜小不宜大。 When tasting famed kinds of green tea or other delicate green teas, whichever kind of tea cup one uses, they should be small and not large. 用大杯则水量多，热量大，使茶叶容易“烫熟”，影响茶汤的色香味。 Using a cup with a large volume of water means a large amount of heat, which will likely cause tea leaves to “scald,” affecting the tea liquor’s color, fragrance, and taste. 不适宜泡绿茶，尤其不适宜泡高级绿茶和名茶。 these are not suitable to steep green tea, and especially not high-grade greens or famed teas. 四川、安徽等地还流行喝盖碗茶。 In Sìchuān, Ānhuī and other places it is still popular to drink gàiwǎn tea. 盖碗由碗盖、茶碗和碗托三部分组成。 A gàiwǎn is made of the three parts of lid, bowl, and saucer. 个人泡饮或多人泡饮都适宜。 It is suitable for brewing and drinking for one or many people. 以上介绍的各种茶壶、茶杯、茶碗，是最常用的泡茶器皿。 The teapots, teacups, and tea bowls introduced above are the most commonly used tea-brewing utensils. 此外, 还有一些配套茶具，如茶船、茶盅、茶荷、茶巾、茶匙、茶盘、茶托和茶罐等。 Still, it takes a bit more to make a complete set of tea wares, such as a tea boat, tea zhōng, presentation vessel, tea cloth, tea spoon, tea tray, tea saucers and tea canister. 其作用一可保护茶壶，二可盛热水保温并供烫杯之用。 It protects the teapot, and it holds hot water for retaining heat and scalding cups for use. 茶盅：又叫“茶海”，供盛放茶汤之用。 Tea zhōng: also called “tea sea,” used to provide a container for the tea liquor. 待茶泡至适当浓度，先将茶汤从茶壶倒入茶盅，然后再斟入每个茶杯中。 Let the tea brew to its suitable concentration, empty the tea liquor from the teapot into the zhōng, and then pour into each teacup. 三可避免茶汤到处滴落。 third, it prevents drops of tea falling everywhere. 茶荷：供赏茶时盛茶用。 Tea tote: used to hold tea for a period of appreciation. 品茶的第一步是“赏茶”，即欣赏茶叶的外形和闻嗅茶叶的干香。 The first step of tea tasting is “appreciate the tea”: appreciating the tea leaves’ appearance and smelling their fragrance when dry. 先将茶叶从茶罐倒至茶荷，其数量依客人多少而定。 First empty the tea leaves from the tea canister into the tote, the amount depending on the number of guests. 赏茶之后再将茶叶倒入茶壶。 After appreciating the tea, empty the tea leaves into the teapot. 茶巾：常用干燥的小毛巾作茶巾。 Tea cloth: commonly a small, dry towel serves as a tea cloth. 先将壶底在茶巾上沾一下，以吸干壶底水滴。 blot the pot’s base on the top of the tea cloth to absorb drops. 茶匙：舀茶叶用。有人常用手直接从罐或茶荷中取茶，既不卫生，也不文明。 Tea spoon: used to scoop tea leaves. People commonly use their hands to get tea from the can or tea tote, which is neither hygienic nor civilized. 用茶匙舀茶是值得提倡的。 Using a tea spoon to scoop tea is worth promoting. 茶盘：放置茶杯用。 Tea tray: used to put teacups on. 客人从茶盘中取用靠近自己的一杯。 the guests take the cup nearest them from the tea tray in their midst. 如宾主人数不多，大家促膝围坐，则可将茶盘放在中央，各人自行取杯享用。 If host and guests are not many, sitting in an intimate circle,1 the tea tray can be put in the center, with everyone free to take his own cup. 茶托：放置茶杯用，每个茶杯配一茶托。 Saucers: used to put teacups on, each teacup matched with a saucer. 茶托质地有陶瓷的，也有用竹、木或其他材料制成的，其大小与茶杯要协调。 There are saucers made of ceramic, as well as bamboo, wood and other materials, and their size must coordinate with the teacups. 用茶托可以避免沾湿桌子或烫坏桌面，而且端杯奉茶时可避免手指直接触杯口。 Using saucers can prevent wetting the table or scalding the tabletop, and by carrying cups when presenting tea, they prevent fingers from directly touching the mouth of the cup. 茶罐：专门存放茶叶用。要求无味、防潮、不透光。 Tea canister: used specially to store tea leaves. Must be odorless, moisture-proof, and opaque. 常用的有马口铁罐、不锈钢罐、锡合金罐和陶瓷罐等。 In common use are tinplate canisters, stainless steel canisters, tin alloy canisters, ceramic canisters, and others. 有严格的统一规格，以尽量减少客观上的误差。 there are exacting standards to minimize objective error as much as possible. 常用的评茶用具有：审评盘、审评杯、审评碗、叶底盘、样茶秤、砂时计、网匙、茶匙、汤杯、吐茶筒、烧水壶等。 Commonly used tea judging tools are: evaluation tray, evaluation cup, evaluation bowl, infused leaf tray, sand-timer, mesh spoon, tea spoon, liquor cup, tea spittoon, boiling kettle etc. 分正方形和长方形两种，专供审评茶叶外形之用。 either square or rectangular, especially used for evaluating tea leaves’ appearance. 正方形盘的规格是23×23×3厘米（长×宽×高）；长方形盘的规格是25×16×3厘米。 The specifications for square trays are 23×23×3 cm (length×width×height); the specifications for rectangular trays are 25×16×3 cm. 盘的一角，开一缺口，供倒出茶叶之用。 One corner of the tray is an open gap, for pouring out tea leaves. 全涂白色漆，待漆味全部挥发之后才能使用。 If the tray is coated with white enamel, wait until the lacquer smell completely dissipates before using it. 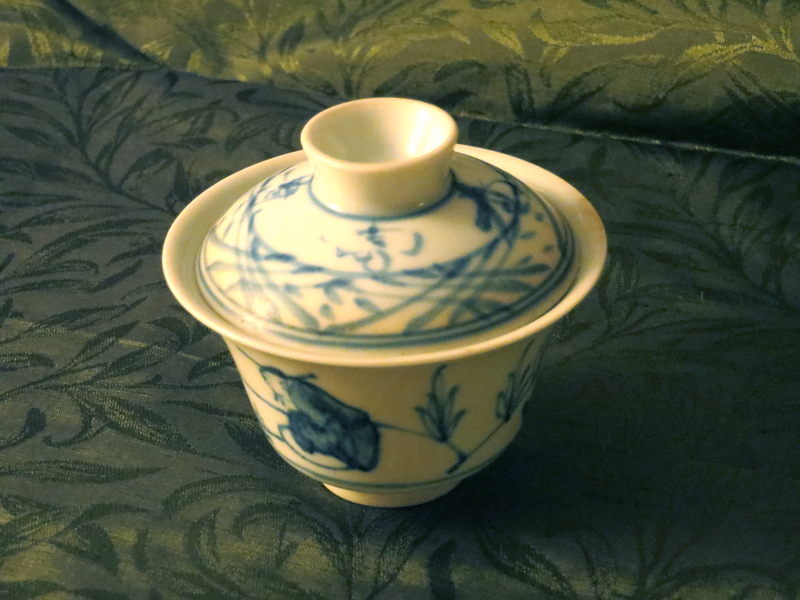 审评杯：用来泡茶与审评茶叶香气。 Evaluating cup: used for brewing tea and evaluating tea leaves’ fragrance. 杯柄对面杯口有一锯齿形小缺口，杯盖外径72毫米，内径61毫米。 There is a small, sawtooth-shaped gap in the rim of the cup directly opposite the handle, and a lid with external diameter of 72 mm and internal diameter of 61 mm. 杯盖上有一小气孔。审评杯容量为150毫升。 The cup lid has a small air-hole. The evaluating cup has a capacity of 150 mL. 我国审评红、绿毛茶用的审评杯容量为200或250毫升，其杯口上为弧形小缺口。 Our country evaluates red and green crude tea using evaluating cups of 200 or 250 mL capacity, with a small rounded gap for an opening. 审评乌龙茶的审评杯为容量110毫升的有盖茶碗。 The evaluating cup for oolong tea is a 110 mL covered tea bowl. 审评碗：为特制的广口白色瓷碗，审评茶叶汤色与滋味之用。 Evaluating bowl: a special wide-mouth white porcelain bowl, used for evaluating tea liquor color and flavor. 国际标准审评碗规格为：外径95毫米，内径86毫米，高52毫米，容量为150毫升。 The specifications for an international standard evaluating bowl are external diameter 95 mm, internal diameter 86 mm, height 86 mm, volume 150 mL. 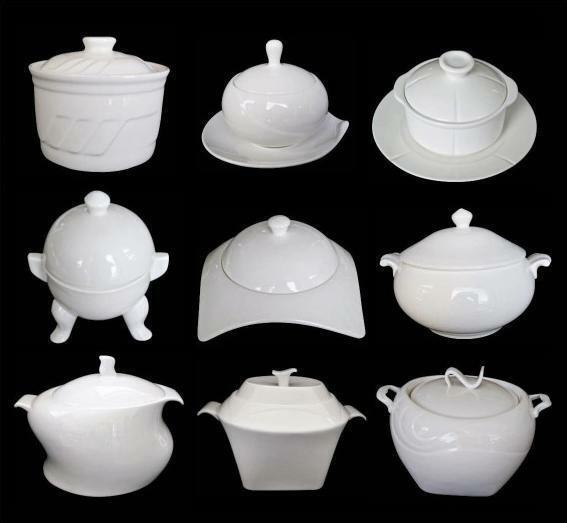 我国毛茶审评碗容量为200或250毫升。 Our country’s evaluating bowls for crude tea are 200 or 250 mL. 叶底盘：有木质方形叶底盘和长方形白色搪瓷盘两种，均为审评叶底之用。 Infused leaf tray: there are either square wooden infused leaf trays or rectangular white enamel ones, both used for evaluating infused leaves. 木质叶底盘的规格为10×10×2厘米（长×宽×高），白色搪瓷盘的规格为22×15×3厘米。 The specifications for wooden infused leaf trays are 10×10×2 cm (l×w×h); the white enamel trays are 22×15×3 cm. 砂时计：专门记茶叶冲泡时间之用。审评室堂用5分钟砂时计，也可用定时钟代替。 Sand timer: a special way to record tea brewing time. An evaluating room uses 5-minute sand timers, or may use electronic timers instead. 网匙：用细密铜丝网制成，作捞取审评碗内茶渣之用。 Mesh spoon: made with a fine copper screen, used to fish out tea dregs from the evaluating bowl. 茶匙：取茶汤评滋味用。 Tea spoon: used to take tea liquor to judge the flavor. 吐茶筒：审评时吐茶用，其规格为：高80厘米，口径35厘米，半腰径20厘米，通常用镀锌铁皮制成。 Tea spittoon: used when spitting evaluated tea. Its specifications are 80 cm high, 35 cm in diameter at the mouth, 20 cm in diameter at the middle, usually made from galvanized sheet iron. 1. 大家促膝围坐: literally, “big family close knees circle sit.” A wonderfully vivid phrase that Chinese speakers don’t give a second thought. 2. 1/10 precision: 1/10 of a gram? I’m unsure about this whole sentence. 3. Liquor cup: I’m not clear how this is used, and this is a vague sentence. The verb is simply “put,” with “use” as an auxiliary–is the cup just used to hold the spoons? Most likely, one uses the tea spoon to portion tea from evaluating bowl into the liquor cup for drinking. Lame.